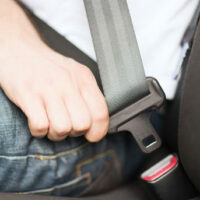 Can Wearing a Seatbelt Affect your Personal Injury Claim? Statistics show that wearing seatbelts drastically reduces the chance of fatality during a car accident, but did you know it might also help your personal injury claim be successful? Florida’s seat belt laws require individuals in the front seat and anyone under 18 to wear a seat belt, regardless of where they’re sitting. However, even for individuals older than 18 in the backseat, it can help prevent serious injury and make a difference for personal injury claims. When making a personal injury claim from an accident in which you didn’t wear a seatbelt, the other side may be able to argue that not wearing a seatbelt was the cause of your injury rather than the accident itself. The repercussions may also extend beyond your personal claims court. For example, insurance companies also consider negligence when distributing funds from insurance claims. Every personal injury case is unique, even if the circumstances around the accident appear similar. For this reason, hiring an experienced personal injury lawyer can maximize the chances you are awarded damages to help cover the cost of the accident. Another factor to consider for making a personal injury claim from a car accident is that courts recognize that the damage done extends beyond the physical trauma, medical cost and vehicle damage in the accident. The courts recognize “pain and suffering” as contributing factors when deciding how much is acceptable to award. The catch is that the financial equivalent of pain and suffering is much harder to determine, because it includes subjective factors like emotional stress and mental trauma. One of the easier ways to calculate this is simply to multiply the total cost of medical bills and vehicle damage by a number. For example, your lawyer may take the sum of all these costs and triple the amount when arguing for your case to account for pain and suffering. Again, every case is unique, so determining the number to multiply by is not always clear cut. If you were the victim of a car accident, contact Bundza & Rodriguez, P.A. in Daytona Beach, Florida for a consultation. We also have experience fighting for victims of a variety of accident types, including car, bicycle, truck and boating accidents. We understand that the total damage of an accident isn’t just the financial loss, and we will fight to make sure all the damage you’ve experienced is compensated.